The LEIC Planning page is an informal tool that was created by the POPFASD team. It incorporates information from the field of FASD and effective student planning practices. 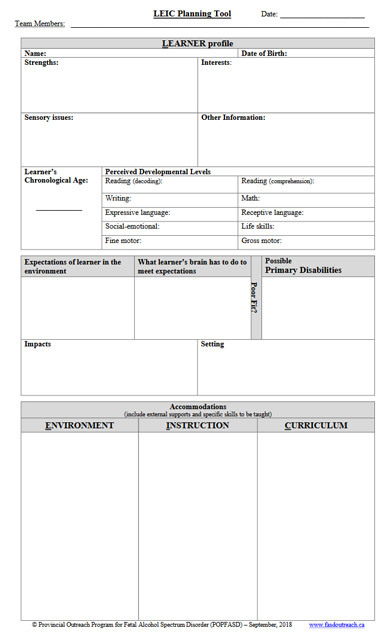 The purpose for the tool is to guide a constructive and positive conversation about a student, focusing on the student's strengths and needs. The tool is most effectively used when all team members have a solid understanding of FASD.